Nearly 370 million Internet Explorer users have just six weeks to upgrade their browsers or switch to one from a Microsoft rival, new data showed today. In August 2014, Microsoft took Internet Explorer (IE) users by surprise when it announced that most had to be running IE11 by Jan. 12, six weeks from today. After that date, Microsoft will support IE9 only on the barely used Windows Vista and Windows Server 2008, and IE10 only on Windows Server 2012. All others, including those with devices powered by Windows 7, Windows 8, Windows 8.1 and Windows 10, must run IE11 or Edge. The retired browsers will continue working, but Microsoft will halt technical support and stop serving security updates for the banned versions. According to data released by measurement vendor Net Applications, 44.8% of all IE users ran a soon-to-be-outdated edition of the browser. That portion of the IE user base represented about 368 million users when Microsoft's often-stated number of 1.5 billion Windows devices worldwide was used in the calculation. 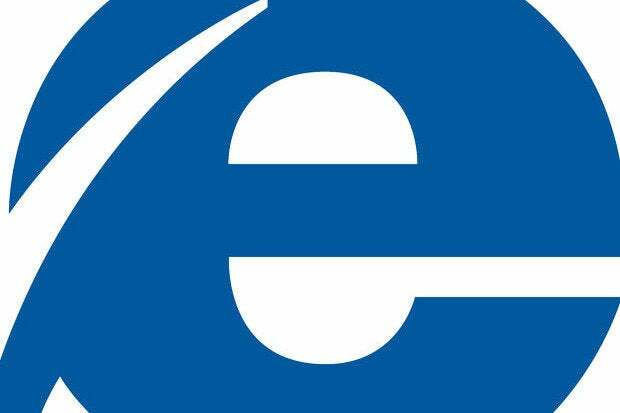 The biggest chunk of affected IE users -- an estimated 172 million -- were those still running IE8, the six-year-old browser originally bundled with Windows 7 but which also ran on the now-retired Windows XP. IE9 was also a favorite of those who had not yet upgraded. Approximately 108 million users ran IE9 in November, but because Windows Vista, the only edition that will be allowed to fire up IE9 and still receive browser security patches after Jan. 12, was on about 26 million machines last month, at least 82 million people must upgrade in the next six weeks. IE10, the 2012 edition that shipped with Windows 8 and was ported to Windows 7, was the browser-of-record for an estimated 72 million users in November. They, too, must upgrade. Or they must dump IE and choose an alternate browser like Google's Chrome, Mozilla's Firefox or Opera Software's Opera. That's just the decision many appear to have made in the 15 months since Microsoft's announcement. By demanding that users switch from, say, IE8 to IE11, Microsoft opened the door to deserters. Because users were told they had to change browsers in any case, they have been more likely to select Chrome than to update to a newer version of IE. That's proved disastrous for IE's user share, which has plummeted more than nine percentage points so far this year. IE ended November with 50% of the browser market by Net Applications' measurement, a low it hasn't seen in decades. Meanwhile, Chrome's user share has jumped 8.8 points thus far in 2015, and now accounts for 31.4% of all browsers. Companies that require older editions of IE to run Web apps or services can upgrade to IE11, then rely on that browser's Enterprise Mode to mimic the older versions' rendering engines. Last week, Microsoft announced some enhancements to Enterprise Mode, including support for HTTP ports, and issued a kit that walks IT administrators through the chore of configuring Enterprise Mode. That kit can be downloaded from here. Another option for laggards who need backward compatibility with aged apps and services is to upgrade to IE11 but deploy Browsium Ion, an add-on that lets IT administrators enable legacy IE-dependent apps in IE11. In a recent interview, Gary Schare, president of Browsium, admitted that Microsoft's IE11-or-else edict had been good for business. "We've seen an uptick," Schare said. "Most of our business is in IE11 migration. Companies are attempting to beat the deadline, and they come to us when they have a number of legacy apps and they've run out of alternatives." Consumers with a version of IE on the hit list and able to run IE11 on their PCs can download the browser from Microsoft's website.